Laura Newton is a leading junior with a commercial practice which sees her regularly instructed in high-value international commercial disputes and arbitrations, often with a fraud aspect. Laura’s recent instructions include acting for the owner of the former Olympic Stadium in claims by West Ham United regarding its use of the Stadium under a 99 year Concession Agreement; acting for Slater & Gordon in its £600 million claim against Watchstone for fraud and breach of warranty; acting for Cukurova in its multi-billion dollar battle over control of Turkcell, the largest mobile phone company in Turkey; and acting for a hedge fund in a breach of confidence case arising out of the theft of confidential trading strategies by a former employee. The directories have previously ranked her as one of the top ten commercial juniors under eight years’ call (Legal 500, 2016) and said: "Extremely bright. Her written work is fantastic and she is a very gifted advocate. Clients find her reassuring and approachable"; "She is extremely able and disarmingly bright"; "Extremely personable and someone who punches above her weight"; "Highly intelligent"; "A real star in the making"; “Extremely clever and enormously diligent. The quality of her written work is well beyond her years”; “Very accomplished, particularly for her level of call”; “She assimilates the facts quickly and has good recall”; "She grasps material and produces high-quality work in very quick time"; and “Very well-regarded junior counsel who is capable of appearing unled in high-value cases”. Laura’s abilities have been recognised as exceptional for someone of her seniority: she was one of just 10 barristers selected for inclusion in The Lawyer Hot 100 2016, and was also featured as one of the Legal Week 10 Stars at the Bar 2016. The Lawyer noted that, “At just seven years’ call Laura Newton has been dubbed a ‘superstar’ by QCs for her record of bringing in significant commercial litigation mandates and being a ‘driving force’ in complex case management.” Legal Week referred to her as “winning plaudits left, right and centre”. Laura frequently deals with substantial commercial cases, most of which have an international aspect. Under the umbrella of commercial litigation, Laura’s practice spans contractual disputes, civil fraud, banking and finance, and professional liability. 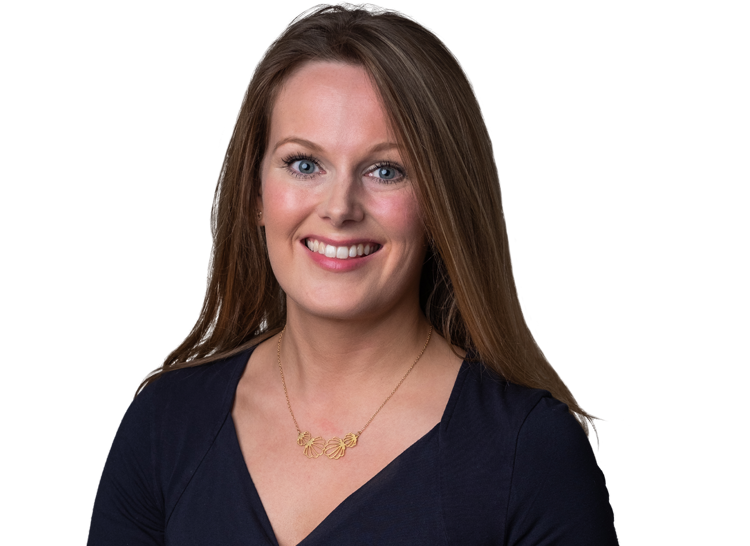 Laura also has experience of shareholder disputes, applications against directors, applications under the Companies Act 2006, applications under the Insolvency Act, and advising in relation to company law issues. West Ham United Football Club Limited v E20 Stadium LLP: acting for the owner of the former Olympic Stadium in claims by West Ham United regarding its use of the Stadium under a 99 year Concession Agreement. Corbiere and ors v Xu  EWCA Civ 1899: committal proceedings in a breach of confidence case arising out of the theft of a hedge fund’s confidential trading strategies. Laura was instructed in the original committal proceedings that resulted in a sentence of thirteen months’ imprisonment, and in the appeal in which that sentence was upheld. Slater & Gordon v Watchstone plc: acting for Slater & Gordon in its £600 million claim against Watchstone for fraud and breach of warranty which is set for trial in October 2019. Agate Assets SA v Rothschild et al: instructed by Rothschild in Commercial Court claims concerning declaratory relief in relation to €30m loan notes backed by Commerzbank bonds and a third party unsecured loan. TARBS Europe SA and City West Centre PTY Limited v the Republic of Macedonia and others: instructed by the Macedonian government to defend claims in excess of €80 million under a television licence agreement. Hayward v Striker Trustees Limited et al: instructed by members of the Hayward family in an offshoot of a long-running dispute over the estate of Sir Jack Hayward in the Bahamian courts and other offshore jurisdictions. National Westminster Bank plc v Kotonou  All ER (D) 11 (Nov): acted for the successful Respondent in the Court of Appeal in the context of a guarantee claim concerning abuse of process. Anastasia Goncharova v Natalia Zolotova: the High Court proceedings of a high-profile international dispute over the estate of Georgian oligarch Kakha Bendukidze. X v Y: instructed in a dispute in the Technology & Construction Court regarding damages claims arising from provisional of a defective website. Bank Alkhair & Dar Al Arkan v Al Refai: a Commercial Court claim by a Bahraini Bank to enforce Bahraini judgments against Mr Al Refai totalling $4 million, in proceedings which were featured as one of the Lawyer’s Top 20 cases of 2014. Tugushev v Orlov et al: instructed by the claimant to obtain a $350m worldwide freezing injunction in a joint venture dispute between Russian businessmen. X v Y: substantial fraud proceedings in the Commercial Court regarding claims for misappropriation of assets and breach of fiduciary duty in relation to an international group of companies operating out of Russia and other offshore locations such as the BVI and Cayman Islands. Ukrsibbank v Polyakov: proceedings under section 25 of the Civil Jurisdiction and Judgments Act 1982 involving allegations of misappropriation of assets valued in excess of $100 million. Terra Raf Traiding Co Ltd v Aidar Assaubayev and others: Commercial Court proceedings against a prominent Kazakh businessman in respect of a $5 million transaction. Re P: Instructed as sole Counsel on behalf of multiple defendants in substantial fraud claims in the Chancery Division by 79 investors in a property investment scheme. An LMAA arbitration regarding a superyacht valued in excess of €200 million. An LCIA arbitration involving a dispute between a Korean steel pipe distributor and its Romanian supplier, as sole Counsel. An LCIA arbitration of a substantial unfair prejudice claim in respect of a mining business. An LCIA arbitration of a dispute over a licence to operate a fashion television channel. A Beth Din arbitration regarding a partnership dispute. A Swiss arbitration arising out of a settlement agreement compromising a substantial fraud claim in excess of $100 million, instructed by a national government. An LCIA arbitration of claims of €18 million in lost dividend arbitrage profits by an ex equity trader. An LCIA arbitration concerning the terms of engagement of a corporate finance specialist in connection with a $30 million loan facility, as sole Counsel. An ad hoc arbitration arising out of the dissolution of a solicitors’ firm. A v B: professional negligence claims against a Big Four accountancy firm in relation to advice on a tax avoidance scheme. X v Y: Two multi-billion dollar professional negligence claims in the Middle East against a leading accountancy firm. "Extremely personable and someone who punches above her weight." "Laura Newton is very user-friendly, hard-working, good to have on a team and very mature; she comes across as so much more than a junior." "She's a rising star." "Extremely bright. Her written work is fantastic and she is a very gifted advocate. Clients find her reassuring and approachable." "Highly intelligent." "Very nice and very willing to help out, she really does make herself available." "A superb junior, who despite her outstanding legal abilities is very modest." "Extremely easy to deal with and very friendly, she helps put clients at ease." "She produces things very quickly and she really masters the evidence." "Bright, hard-working and praised by her leaders. She has a great future." "Extremely easy to deal with. Very friendly." "She is very personable and very diligent, and has judgement beyond her years." "She grasps material and produces high-quality work in very quick time." "She is extremely able and disarmingly bright."